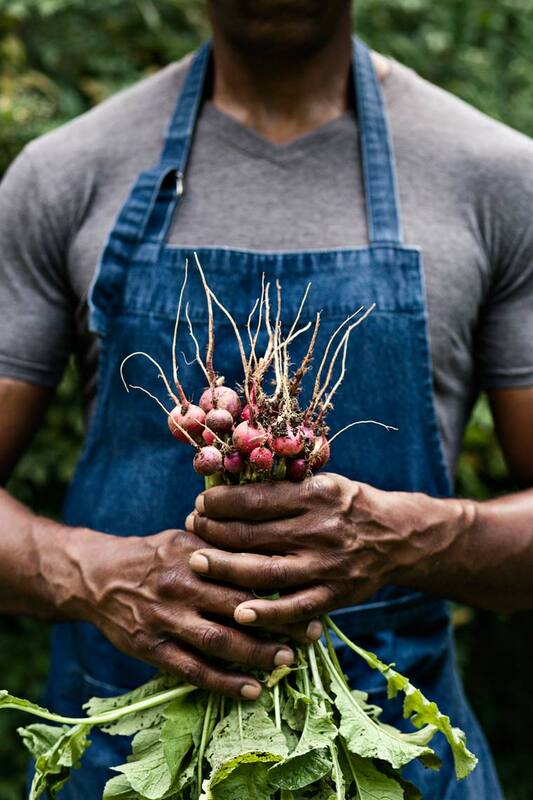 Tightly cropped lifestyle portrait photograph of African American man holding a bunch of radishes tight to his chest in his country organic garden. Photographed in the Chattahoochee Hills, just south of Atlanta, by Atlanta based editorial and lifestyle photographer Nick Burchell. Featured in Garden and Gun magazine.